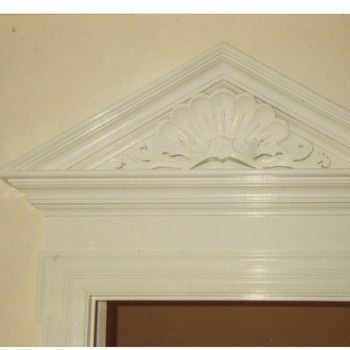 This hand-carved shell motif is the perfect accent in a fine pediment over a doorway. Attention is focused on the architectural embellishments in a tradtional home. 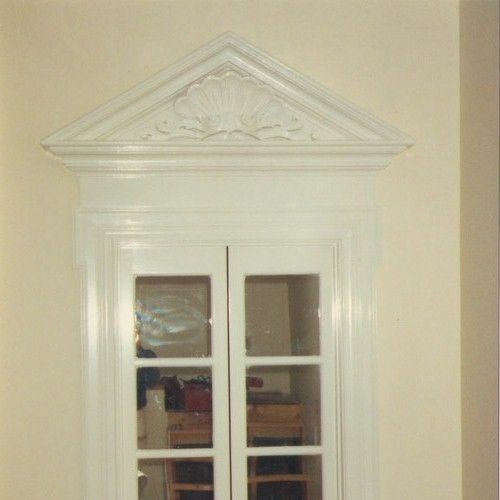 Dimensions: Custom to fit desired opening.